Text analysis allows you to gather data on any open-ended questions in your survey. Open-ended questions allow respondents to provide a written answer to a question. 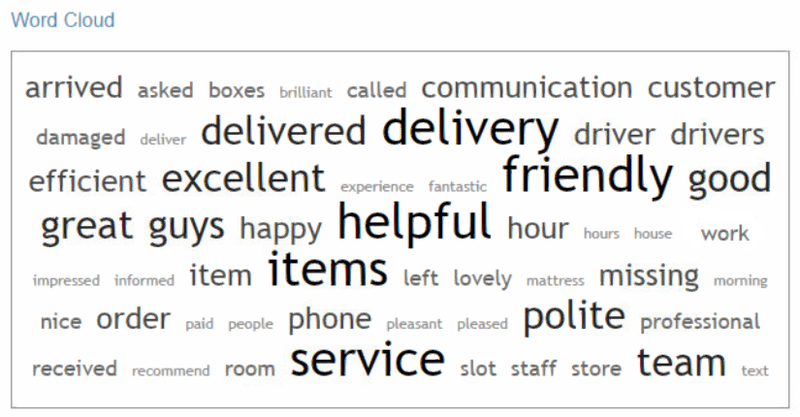 You can analyse these answers using keywords that respondents used in their comments. The purpose of this feature is to save you valuable time by quickly displaying the most popular keywords in a Word Cloud. This will highlight to you certain trends, which may not have been quite as obvious if you had to read through them individually. Click Text Analysis. This will display a list of all of the open-ended questions in your survey. Responses. This shows all of the responses to a question. Categories. This allows you to create categories of keywords to speed up your analysis. Word Cloud. This displays the most common keywords used across all responses. Word List. This displays the most popular words in the responses in a list.